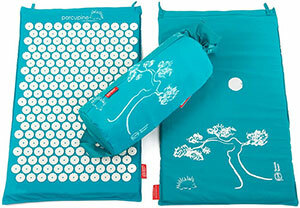 One of our favorite stress relieving tools is the Spoonk acupressure mat. The mat is made of little spikes that stimulate your body’s pressure points, releasing endorphins and reducing stress. The best part is that it comes in a travel size as well, easy to bring with you anywhere! If you find yourself in front of a computer or tablet screen on a daily basis, wondering why you’re feeling fatigued or stressed, it’s because our eyes are not designed for exposure to artificial blue light emitted from digital devices. 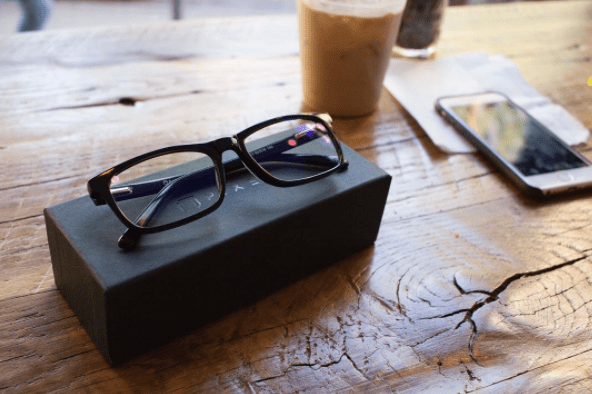 Pixel Eyewear is designed to block this artificial light, helping your body to follow a more natural light cycle. The Soothe Stick Pocket Therapy is perfect for the little scrapes that can come with an active lifestyle. Calendula helps with dry, irritated or damaged skin, while the lavender helps to calm the kiddo, amazing! Try the Awaken Shower Mist for your sick kiddos, while smelling great, this eucalyptus-based spray can help to soothe breathing and ease stuffiness, while directly helping out via proven bactericidal and anti-viral action. Finally, the Sleep Stick Pocket Therapy, use in the evening to help facilitate the transition into rest. All three are great to use for both mom and child! With the Happy Stick Pocket Therapy, you can enjoy the lovely smell of mango, sweet orange, and ylang ylang any time you like! Leave Porta Pourri in the bathroom to treat your guests to the lovely scent of rosemary and orange as Porta Pourri keeps the party smelling great. For those more intimate moments, Karnadeva Oil is loaded with natural essential oils for relaxation and heightened sensation. For that friend who loves to spend time outdoors! The Soothe Stick Pocket Therapy can help ease scrapes or dryness around the ankles. Ease discomfort in joints after a long haul with the amazing Arnica Turmeric Joint Formula. Keep away pesky insects with the truly natural Body Bliss Bug Stick and skip the nasty chemicals. When you or a loved one is in pain, it’s important to grab the right solution. Relax tight muscles (like those stressed out shoulders) and get more restful sleep with the help of magnesium Muscle Oil. The mega Muscle Stick can help relieve inflamed, achy muscles while the Turmeric & Arnica Joint Formula is specifically formulated for penetrating to the joints, hips, ankles, or knees.